Exercising has been shown to yield many benefits, such as weight control, improved moods, and sharper memory. Now comes exciting news from a National Institute of Health study, (NIH), that exercising can also build strong bones. The new study data suggests that a new approach to treating osteoporosis, a disease that increases the risk of bone fractures, may be at hand. Researchers found that a hormone called irisin, which is secreted by muscles during exercise, also strengthens bones. Researchers found that irisin increases bone density and strength in mice. It does so via a protein receptor called aVB5. These cell receptors reside on cells called osteocytes, the most common cell type in mature bone tissue. Irisin prolongs the life of these osteocyte cells and also increases the production of sclerostin. Sclerostin rebuilds damaged bone tissue and it’s levels can be increased through exercising. In this study, mice received irisin for 6 days. Following treatment, sclerostin blood levels were significantly higher. These results suggest that irisin could be the basis for a new treatment for osteoporosis. 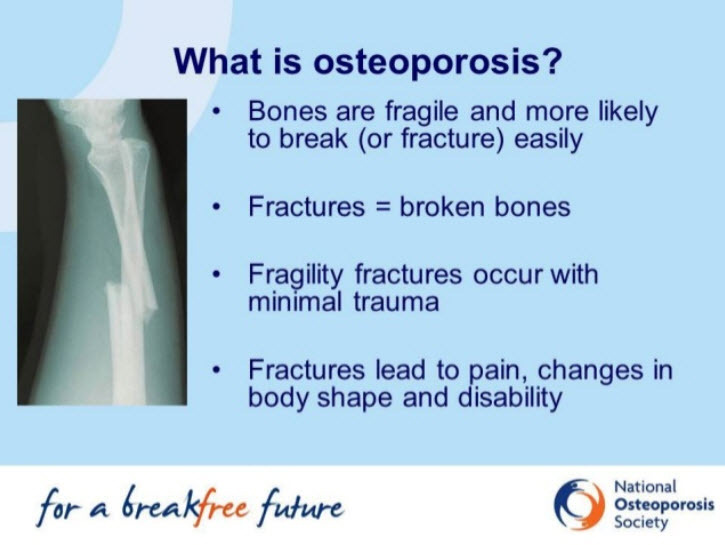 Currently, this disease has caused 9 million bone fractures worldwide. Irisin may have additional health benefits besides strengthening bones. In healthy people, irisin circulates throughout the body and is found in the heart as well as the brain. In other studies, irisin has been found to maintain body weight and even promote weight loss. It does so through the same osteocyte receptor cells and the protein receptor called aVB5.